When people could see the good work carried out by these teachers under his management he received requests to open schools in other towns. 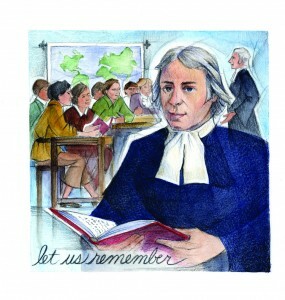 More young men asked to live their lives as educators like those who were living within his community. The Institute of the "Brothers of the Christian Schools" gradually evolved. This congregation was unique, for its members, though belonging to a religious order, were laymen, who spent all their energy and the whole of their lives educating children, especially those who were very poor. 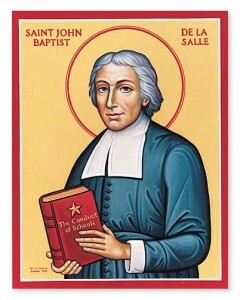 John Baptist's last words were: " I adore in all things the guidance of God in my regard"; these words summed up his life. 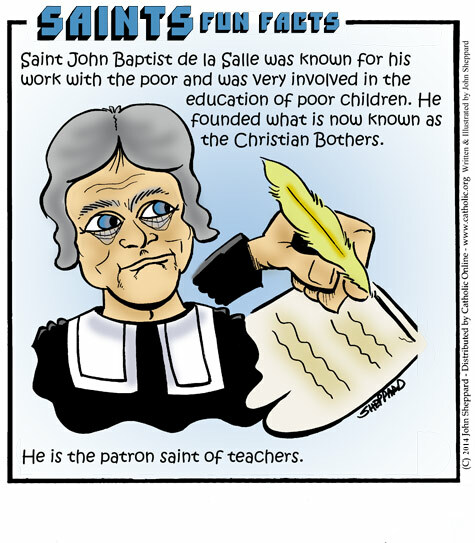 "Special Patron of all Christian Educators"